THIS GIVEAWAY IS NOW CLOSED. THE WINNER IS DORMETRIS MARTIN. 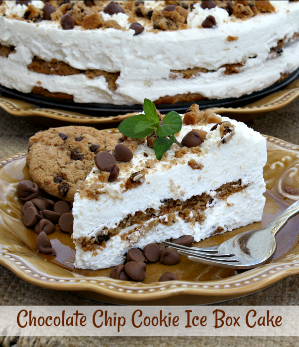 I have a yummy review and giveaway to share with y'all. The Holidays are my favorite time as a Gooseberry Patch Early Bird Reviewer. That's the time of year when all the seasonal and holiday cookbooks show up at my doorstep for review. A couple weeks back I had the honor of receiving Hometown Harvest. I was excited to see that it was a fall cookbook, because that's my favorite season. I absolutely L♥VE everything about fall, the changing of leaves, apple picking, pumpkins, the cooler weather, fireplaces, and most of all the glorious food. I was so excited to kick back and relax with a hot cup of tea and thumb through this heartwarming cookbook. 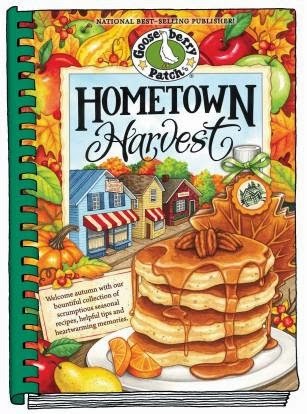 Hometown Harvest doesn't disappoint and I think the cover describes it best.... Celebrate harvest in your hometown with hearty recipes, inspiring tips and warm fall memories. When I think of Fall, soups, stews, chili's and all thing pumpkin come to mind and this cookbook is packed full of it. I can honestly say I haven't found a Gooseberry Patch Cookbook that I didn't like. 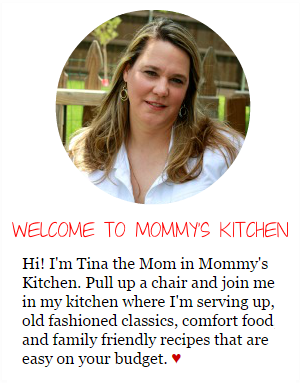 All of their cookbooks are filled with delicious recipes that are simple, and easy-to-prepare. Perfect for anyone just starting out in the kitchen. 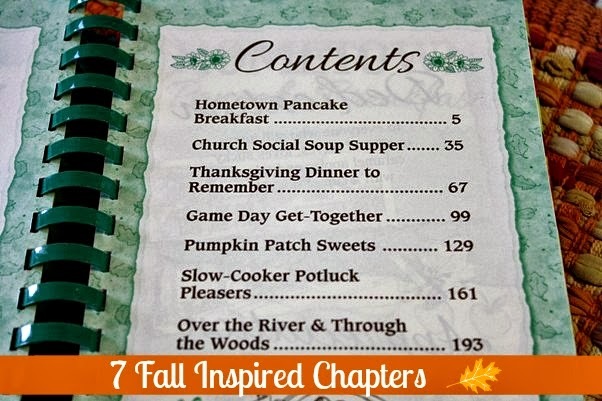 Hometown Harvest has 222 delicious pages filled with all things fall. Hometown Pancake Breakfast: This chapter is all things breakfast! Baked granola, apple muffins, cinnamon swirl bread, pancakes, breakfast casseroles, drinks and more. Church Social Soup Supper: If soup is your thing than this chapter is for you. Lots of comforting titles to choose from, clam chowder, potato soup, pumpkin soup, harvest soup, chicken pot pie soup, chili, sandwiches and more. Thanksgiving Dinner to Remember: This is probably my favorite chapter. Everything you need for the big day. Make ahead turkey gravy, dressing, maple whipped sweet potatoes, stuffing balls, corn pudding and chicken w/broccoli & wild rice. Game Day Get Together: is your ones shop stop for all your football and tailgating needs. Meatball sliders (pictured above), buffalo chicken sliders, pizza squares, down home hot dog chili, candy apple crunch, cranberry meatballs and little piggies. Pumpkin Patch Sweets: has all your favorite autumn desserts, coffee can pumpkin cake, apple pound cake (I can't wait to try this one), apple crisp pie, pear cobbler and game day smore bars. Over the River & Through the Woods: has nothing to do with food and everything to do with family memories and holiday traditions. This chapter will definitely give you warm fuzzies. Below are a few of the recipe I tried and what I thought about them. 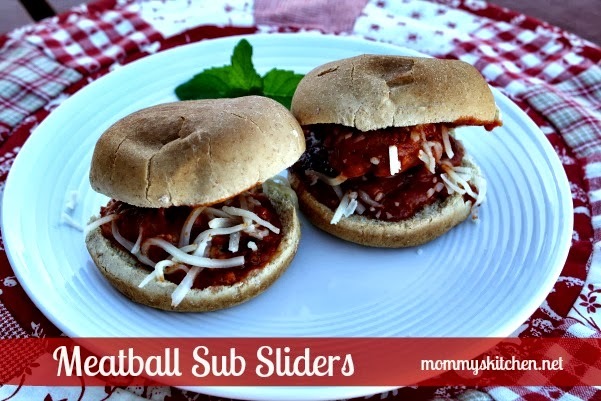 First up are these Yummy Meatball Sliders from Gameday Get Togethers. These little sliders are the perfect tailgating food. I actually made them for dinner for my family and everyone loved them. They're the perfect size for little hands. 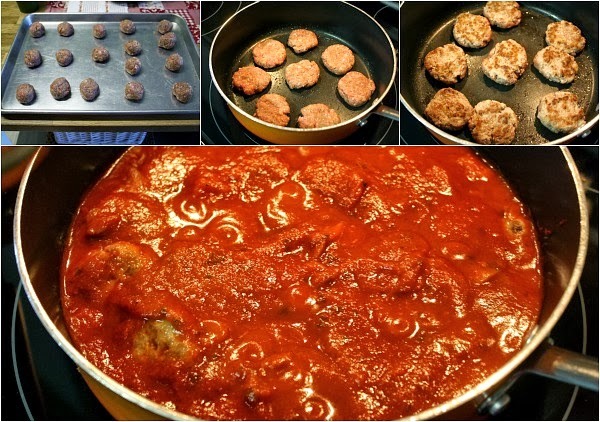 This recipe is for homemade meatballs, but utilizes store bought pasta sauce. This recipe makes quite a bit, so it's perfect for a crowd. 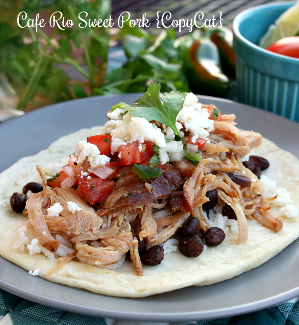 I think this recipe would be perfect prepared in a crock pot! This way all the meatballs could stay nice and warm and everyone can assemble their own sliders. Place bread in a large bowl; and pour milk over bread and let stand for 5 minutes. Add meats, 1/2 cup parmesan cheese, egg, parsley, garlic and salt. Mix well with your hands. Cover and chill for 30 minutes. Form mixture into 2 dozen 2 inch meatballs, flatten slightly. Place meatballs in a stock pot over medium heat. Spoon one cup sauce over meatballs, bring to a simmer. Partially cover and simmer meatballs until cooked through (about 20-25 minutes). Arrange bottom of rolls on a baking sheet. Top each with one meatball, a tablespoon of sauce and a teaspoon of remaining cheese. Bake in a 400 degree oven uncovered for 5 minutes or until cheese melts. Add tops of buns and serve. Cook's Note: I browned the meatballs just a bit in a large skillet until they were brown on both sides. Then I added all the sauce and simmered until the meatballs were cooked through. Once done I toasted the buns and topped the sliders with meatballs and added a bit of shredded cheese and served. 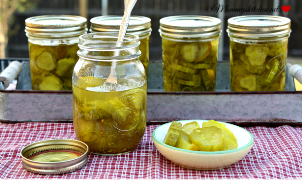 This recipe is from a fellow Texan, Judy Young that lives in Plano, Texas. Shortbread cookies are my husbands absolute favorite cookie. I make them every year for his birthday or Valentines day. I was excited to try these Pumpkin Spice Shortbread Cookies. They tasted just like original shortbread, but with a hint of pumpkin spice. 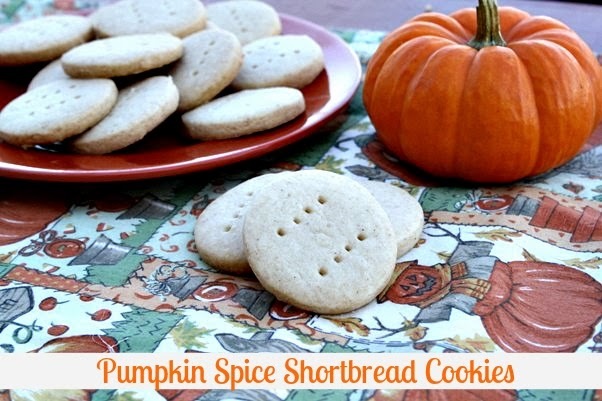 These are perfect along side a hot cup of tea or pumpkin spice latte. I will definitely be making these again. In a bowl blend butter and powdered sugar. In a separate bowl mix flour and spices. Add the flour mixture to the butter mixture and blend. Turn dough onto a floured counter top. Roll out dough to about a 1/2 inch thick. Using a cookie cutter cut out the shortbread. Place on a un greased baking sheet and pierce each shortbread cooking with the tins of a fork (to make the famous shortbread design). Bake at 375 degrees for for 5 minutes, reduce heat oven temperature to 300 and bake an additional 45 minutes or until lightly golden brown. Remove from oven and cool completely on a baking rack. Store in a airtight container. I also wanted to share a bonus step by step video recipe for Pumpkin Streusel Muffins from Hometown Harvest. 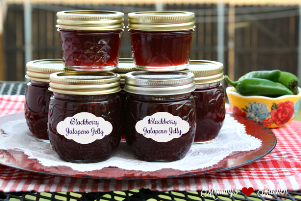 This recipe is from Gooseberry Patches You Tube Channel and is prepared by Vickie and Jo ann themselves. Click here for the complete Pumpkin Streusel Muffin recipe. Would you like a chance to win a copy of this delicious cookbook? The wonderful folks at Gooseberry Patch are giving one lucky Mommy's Kitchen reader their very own copy of Hometown Harvest. See the details below on how to enter the giveaway. If you can't wait you can purchase a copy of Hometown Harvest on Amazon for $14.24. Leave a comment on this post telling me you're favorite Fall food?? Giveaway starts today, October 16th 2013 and ends on October 26th 2013. Contest is open to U.S & Canadian Residents only due to shipping charges. If you leave an anonymous comment please include your email address. This way I can contact you in the event that you're a winner. Winner will have 48 hours to reply to my email or a new winner will be chosen. Good Luck! 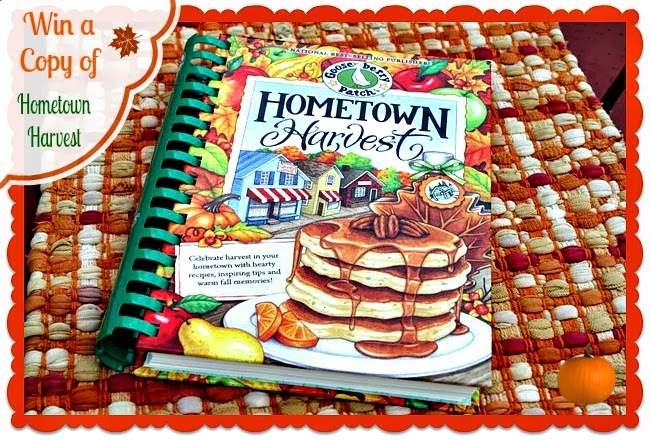 The winner of the Gooseberry Patch Hometown Harvest Cookbook is.. Dormetris Martin! I was provided with a copy of Hometown Harvest for the purpose of this review. I was also given an additional copy to use in a reader giveaway. All comments stated above are 100% entirely my own. My favorite fall food is anything that contains pumpkin! I love Fall! And Fall baking is my favorite. I love Pumpkin anything, this year I have made two kinds of pumpkin cookies. I already LIKE Goosebery Patch on Facebook! Pumpkin pie is my favorite fall food. Also become a fan of Gooseberry Patch on Facebook. I became a fan of Gooseberry Patch on Facebook. I was surprised to see I wasn't one already! I love Thanksgiving! It's my fave type of food for Fall. My favorite fall food is pumpkin bread! I love SOUP in the fall!! I have also like your facebook page! Thank you! My Favorite Fall Food Is Crustless Pumpkin Pie. Warm Apple Crisp Or Cobbler Is Close Second. I'm also a fan of Gooseberry Patch! I Am Now A Fan Of Gooseberry Patch On Facebook, Too! I love fall baking, from pumpkin pie, to pumpkin bread, and pumpkin log cakes, also cookies and cupcakes. It's all pumpkin and spice!!!! My favorite fall food is any kind of tailgating food...hot sandwiches; warm and cold dips; salsa; pulled beef or pork sandwiches; mozzarella sticks - it's all good! Yum! My favorite fall food is kettle corn from out local pumpkin patch!! I love fall! My favorite food during fall is soup, any kind...clam chowder, chicken noodle...the list goes on. my favorite fall food is anything pumpkin!! I love making pumpkin bread when the days get cooler and the leaves start to turn! My favorite fall food! I think my favorite fall food has got to be the turkey done the old fashioned way ..in the oven. The heavenly smell that engulfs the house the entire day as you lovingly baste it is the best and returns me to the feelings of the wonderful family gatherings of long ago. 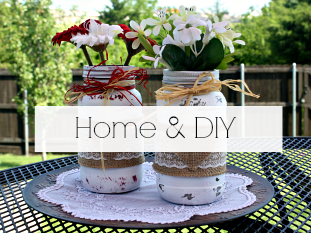 I have liked Gooseberry Patch on Facebook! And I have tweeted the contest! i LOVE MAKING ALL THE RECIPES I READ ABOUT. Tina my email is Whpfarm@aol.com. Please enter me in the giveaway. thank you . My favorite fall food is between CHILI & FRESH HOMEMADE PEPPERONI ROLLS. I love my Grandmothers Corn Casserole. It screams all things fall! my favorite fall food is chilli. Fav fall food is pintos and cornbread - nothing better on a cool fall day. My favorite Fall food is pumpkin whoopie pies or roll. My favorite fall food is chicken and sausage/Andouille gumbo. Yummy!!! My favorite fall food is Pineapple-Walnut Zucchini Bread! I am a Gooseberry Patch friend on facebook. Any pumpkin of course. Sweet potato anything. My favs. My favorite fall food is apple cider donuts! Especially the ones they make at the apple orchard!!!! I keep trying to copy them but I'm still tweeking!! Liked Gooseberry Patch on FB....what a great page!!!! Can't wait to explore! My favorite fall food is apples...you can do so many yummy recipes with them any where from sweet to savory!! Fall is my absolute favorite season too and my favorite fall food is anything pumpkin, but I absolutely love Pumpkin Scones and Pumpkin Spice Lattes!!! I have already "liked" Gooseberry Patch on Facebook. Love their cookbooks!!!! apple, squash...chili! so may choices! apples, squash, soups! so many choices!!! i liked gooseberry patch on FB . thanks! I'm not a fan of fall, because I HATE cold weather and especially snow. But knowing my favorite fall food, which is anything pumpkin, is in season, makes fall a bit more tolerable for me. i love making and eating home made apple pie. yum! I love that it gets cool enough to make chili and I make several things with it. Chili dogs, frito chili pies, chili mac, and just plain chili with crackers. I also love all the pumpkin spice recipes, coffee creamers, etc. My favorite is Sweet Potato Casserols. I have also liked the Gooseberry Patch Facebook page. Which I will be frequently visiting! My 2 favorite autumn treats are pumpkin bread and a hot, spiced pumpkin latte! I love Gooseberry Patch so much that I've even been following them on Facebook since their Facebook started! My favorite fall food is ANYTHING pumpkin or apple! LOVE Pumpkin bread, pumpkin pie !! Love this season! For fall anything with apples! mmmmmm I adore fall baking! Love anything pumpkin! Soup, bars, pies, lattes .. you name it! I noticed you have a section on slow cooker recipes. I like to get new recipes and try them out. My husband has a pumpkin cookie recipe that is really good. 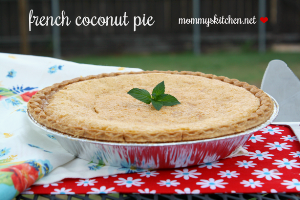 My favorite fall food... Pumpkin Pie but I also like fresh corn on the cob too! Black-eyed peas with ham and cornbread is my favorite fall dish!!! i absolutely love fall and nothing says that more than fall food that comes in harvest. pumpkin anything and soups and chili. i love making bean soup with sausage, and pumpkins pies! I'm a fan of Gooseberry Patch on Facebook and I also tweeted! Thanks for the giveaway! My favorite fall foods are Apple Crisps and Pumpkin Chocolate Chip cookies! I became a fan of Gooseberry Patch. Pumpkin pancakes with cinn-maple butter syrup topped with powder sugar and hot apple cider to drink. My favorite Fall food is Crockpot Apple butter! For fall I love squash soup. 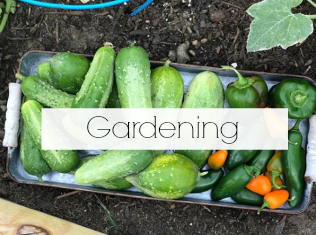 You can get it fresh from the garden and everyone will love it, vegans and meat eaters alike. My favorite fall recipe is apple pie. I know you can make it any time of year but apples in the fall are the very best! Love a big bowl of homemade chili! I have been a fan of Gooseberry Patch on FB for a long time. Not sure if this is considered "food", but more a snack or I guess breakfast item? But My favorite fall food is the pumpkin spice scones from Starbucks! Ive been keeping a lookout for a copy cat recipe! Favorite fall food is anything with apples, apple pie, apple crisp, apple cider, etc. etc.! Has to be any type of dessert, such as warm apple crisp, pumpkin pie or candy apples.. Anything to do with apples, or pumpkin, or chili...I don't know how you expect me to pick just one! Already subscribed to Gooseberry Patch . Beef Stew . Hello, fall in my home town is great,you see I live in circleville ohio were the pumpkin show is going on as I type this,from pumpkin chili to pumpkin dounuts,to deep fried pumpkin pie and everything from pumpkins to apples.fall is the best time of year for baking my favorite pie, apple. I should say any kind of stew, but I am actually going to go with Fajitas because my birthday is in the Fall and that is the only time my family agrees to eat them! crockpot apple butter is my favorite! I love homemade pumpkin pie in the fall!! I just liked Gooseberry Patch. Great!! My favorite fall food is Beef Stew! I've just become a fan of Gooseberry on FB :) !! One of my favorite fall foods is beef stew with fresh biscuits. I'm a dessert person, too, so I eat a lot of fall flavored desserts this time of year, especially apple flavor. My email address is kdog13@comcast.net. I love anything pumpkin. I made homemade bread and put pumpkin in it. Love pumpkin pancakes and cupcakes. 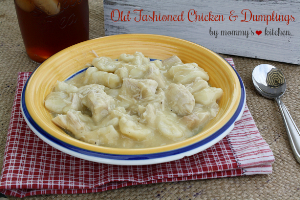 I love chicken and dumplings and hot cornbread! 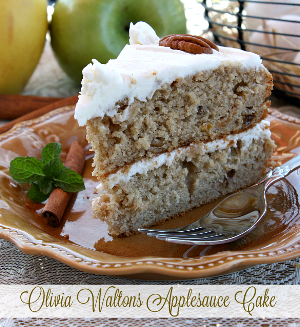 My favorite fall recipe is anything that has apples or pumpkin. I am a fan of Gooseberry on Face book. One of my favorite fall dishes is homemade beef stew. My favorite fall recipe is Crockpot Apple Butter. Just the smell of it cooking all day makes everyone happy. I have been a fan of Gooseberry Patch for quite awhile. Favorite fall foods are soups, stews and casseroles. The house always smells so good. 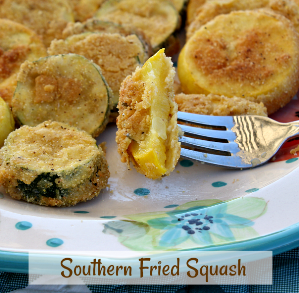 I am a fan and my favorite fall food is squash! In our family it is like candy! My favorite "fall" food is gingerbread anything -- and it's great with chocolate, too! I've "Liked" the Gooseberry Patch FB page under my account there (TammyJo Eckhart). Soups ... I LOVE soups! 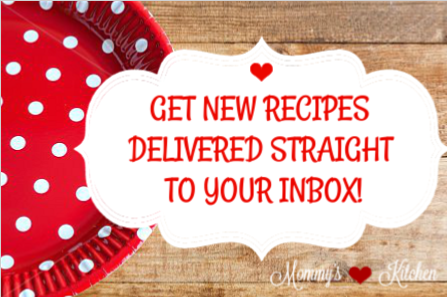 I have liked you on FB and love seeing the new recipes and ideas shared. Soups and stews and anything pumpkin! There are so many! Apple and pumpkin baked goods, chili on a cool day, warm cider, mulled wine... :) Thanks for the chance! M favorite fall food is acorn squash. Love Love Love Anything with Pumpkin!!! My favorite fall food is pumpkin pie and pumpkin bread. I like pumpkin pie or pumpkin bread. I love fall and my favorite fall food is anything pumpkin!! There are so many wonderful things about fall! my favorite fall food....pumpkin brownies with cream cheese icing!!! I liked Gooseberry Patch on Facebook. Got lost over there looking at all their wonderful recipes!! I love anything made from pumpkin!! MY FAVORITE FALL FOOD WOULD HAVE TO BE SWEET POTATO PIE. My fav is anything pumkin or sweet potato. Sheila R.
Sweet Potatoes Anything Sweet Potatoes!! I enjoy the orange cushaw that I raised made into sugar free pie. I love fall and soups is my favorite. I just liked gooseberrypatch on facebook. Apples are my favorite - any form or way - they are the best. 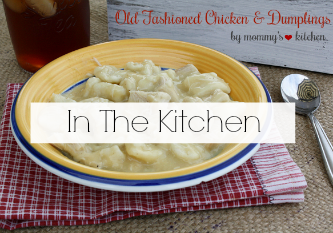 Stuffed cabbage, chicken pot pies, pumpkin everything and the same with apples. Love the smells of down home cooked meals in autumn. And I love the Gooseberry Patch cookbooks.